Film looking at how Louis XIV not only had a passion and talent for dance, but supported and promoted innovations that would lay the foundations for classical ballet to develop. September 2015 marks the 300th anniversary of the death of King Louis XIV of France and this documentary looks at how Louis XIV not only had a personal passion and talent for dance, but supported and promoted key innovations, like the invention of dance notation and the founding of the world's first ballet school, that would lay the foundations for classical ballet to develop. Presented by David Bintley, choreographer and director of the Birmingham Royal Ballet, the documentary charts how Louis encouraged the early evolution of ballet - from a male-dominated performance exclusive to the royal court to a professional artform for the public featuring the first female star ballerinas. The film also looks at the social context of dance during Louis XIV's reign, where ballets were used as propaganda and to be able to dance was an essential skill that anyone noble had to have. 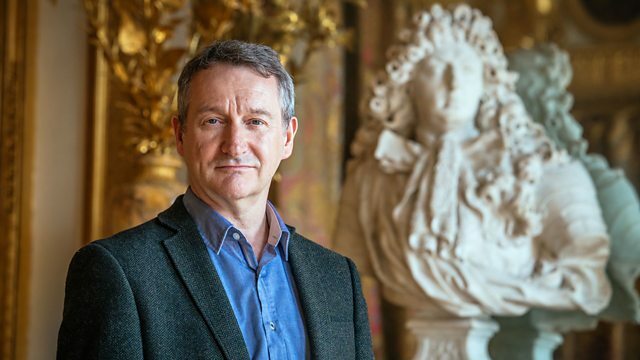 As well as specially-shot baroque dance sequences and groundbreaking recreations of 17th-century music, it also follows Bintley as he creates an exciting new one-act ballet inspired by Louis XIV. Performer: Choir of King’s College, Cambridge. Conductor: Philip Ledger. Performer: Orchestra of St Martin in the Fields. Performer: Royal Blood. Composer: Ben Thatcher. Performer: Peter Rostal. Performer: Paul Schaefer. Conductor: Ron Goodwin. Performer: Royal Liverpool Philharmonic Orchestra. Performer: The Cult. Composer: Ian Astbury. Performer: Les Arts Florissants. Conductor: William Christie. Performer: Les Talens Lyriques. Conductor: Christophe Rousset. Performer: Unknown. Conductor: Carlo Savina. Performer: Royal Ballet Sinfonia. Conductor: Paul Murphy. Performer: Django Reinhardt. Composer: Gus Kahn. Performer: London Sinfonietta. Conductor: Hugo Wolff. Performer: Booker T. & The MG’s. Composer: Paul James Mccartney. Composer: George Harrison. Performer: Dover Street Jazzomaniacs. Conductor: Anne Dudley. Performer: Martin Solveig. Performer: Dragonette. Performer: Zaz. Composer: Emannuel Xavier. Composer: Moshe Ilan Abou. Composer: Thierry Faure. Performer: Röyksopp. Composer: Torbjørn Brundtland. Performer: Boy & Bear. Composer: Andrew David Hosking. Composer: Killian Gavin. Composer: Jonathan Nicholas Hart. Performer: Lady Gaga. Composer: Stefani Germanotta. Performer: Choir and Orchestra of the Collegium Vocale and the Chapelle Royale. Conductor: Philippe Herreweghe. Performer: Django Reinhardt and Stephane Grappelli. Composer: Benny Davis. Warner Chappell North America Ltd. Performer: Françoise Hardy. Composer: Francoise Madeleine Hardy. Performer: Haiku Salut. Composer: Gemma Louise Barkerwood. Composer: Louise Croft. How Does It Feel To Be Loved?. Performer: Ensemble correspondances. Conductor: Sébastien Daucé.